Complete your Batman imaginext Toy Collection with this Gotham City Jail Play set. 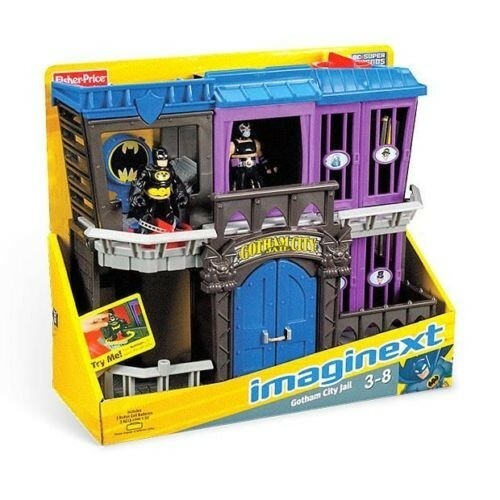 fisher Price Fisher Price Imaginext Batman Gotham City Jail Includes Batman and Bane figures.Turn a figure on another disk and - jailbreak - Bane is free! Rotate the Bat-Signal to call Batman for help! It’s a whole new adventure every time you play! Recommended for kids Ages: 3 - 8 years. 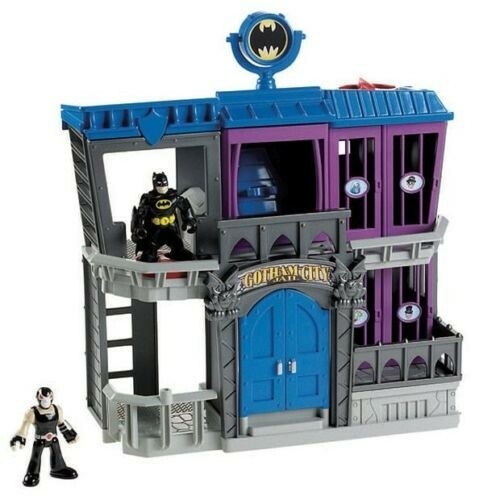 Includes: Batman and Bane figures.